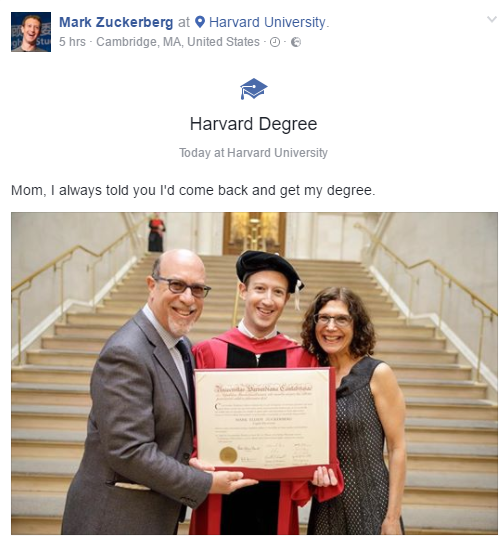 Mark zuckerberg graduatesAmerican computer programmer and Facebook Founder/CEO, Mark Zuckerberg, has finally graduated from the The Ivy school 13 years after he dropped out from Harvard. 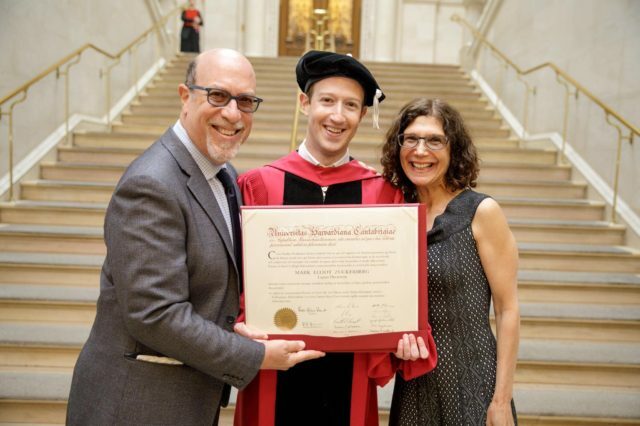 The 33-year-old posted a photo of himself on “his social network” holding his honorary degree with his proud parents standing next to him. He also delivered the commencement address at Harvard saying that the speech was personally important to him. He revealed that his message was about purpose and that the challenge for our generation is to create a world where every single person has a sense of purpose.